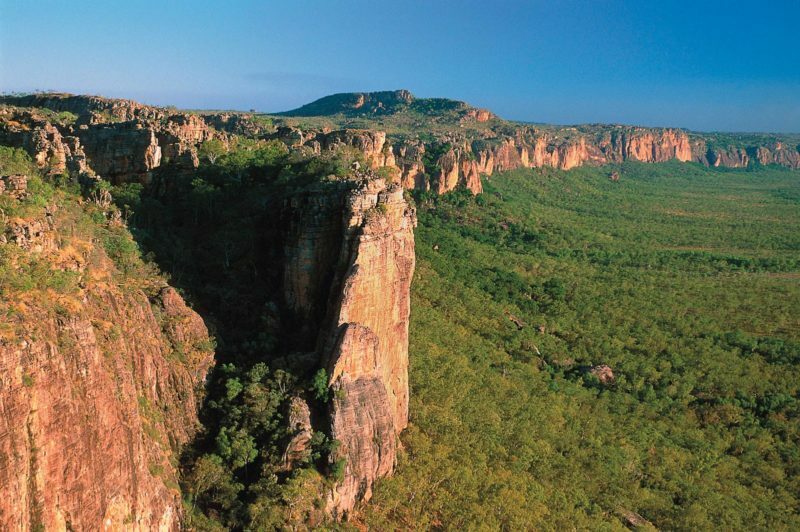 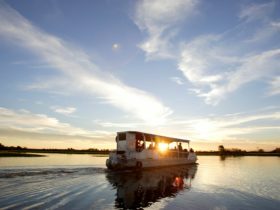 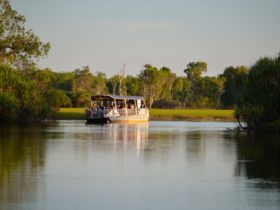 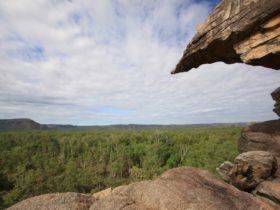 Yellow Water is a landlocked billabong brimming with native flora and fauna and is one of World Heritage-listed Kakadu National Park’s best-known landmarks. 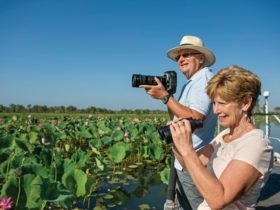 See the park’s wildlife on board a Yellow Water Cruise or during a walk along the boardwalks on the water’s edge. 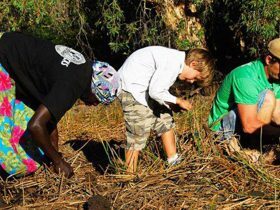 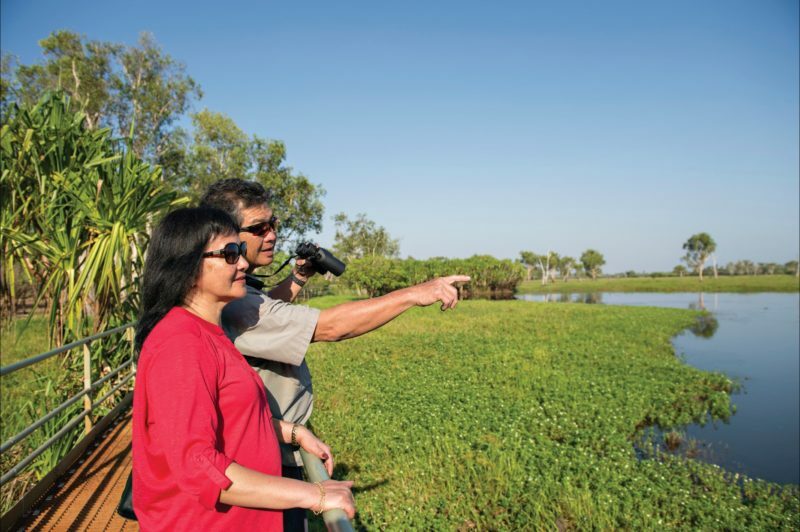 Stroll the boardwalk to study the Paperbark forests, pandanus and fresh water mangroves that line the shore. 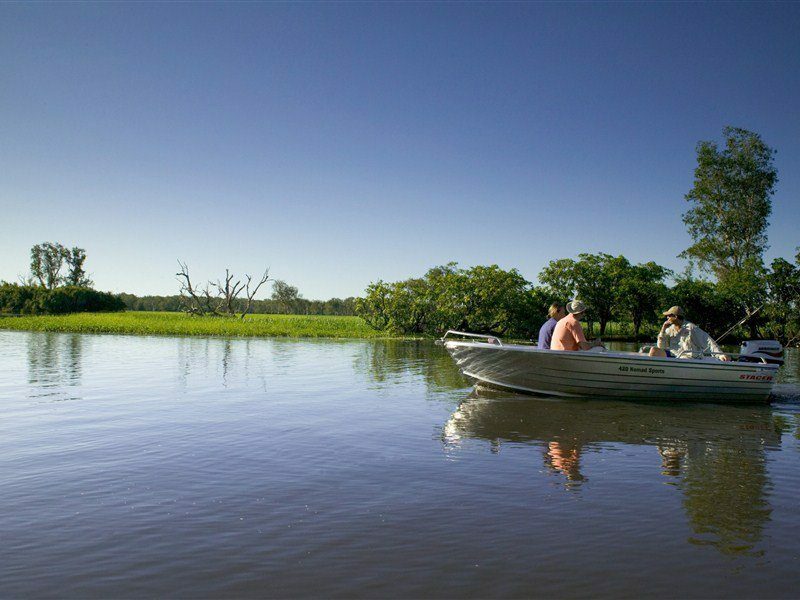 The surface of the billabong is dotted with beautiful pink and white waterlilies. 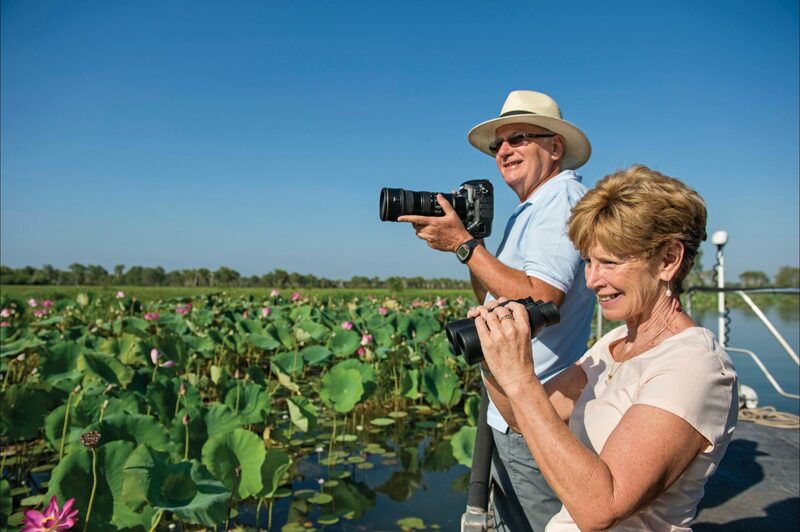 When the waters recede, take the walk across the floodplains to a viewing platform on Home Billabong – a great place to take in an unforgettable Top End sunset.